Once again Net Entertainment has lived up their reputation by providing us with their latest and highest quality slot machine: Robin Hood Shifting Riches. Just like Robin Hood himself Net Entertainment have generously given away the riches of superb graphics in the form of 3D animations and clear sound but with one exception – with all the fantastic bonuses available, it is unlikely you will be a ‘poor’ recipient after playing Robin Hood. 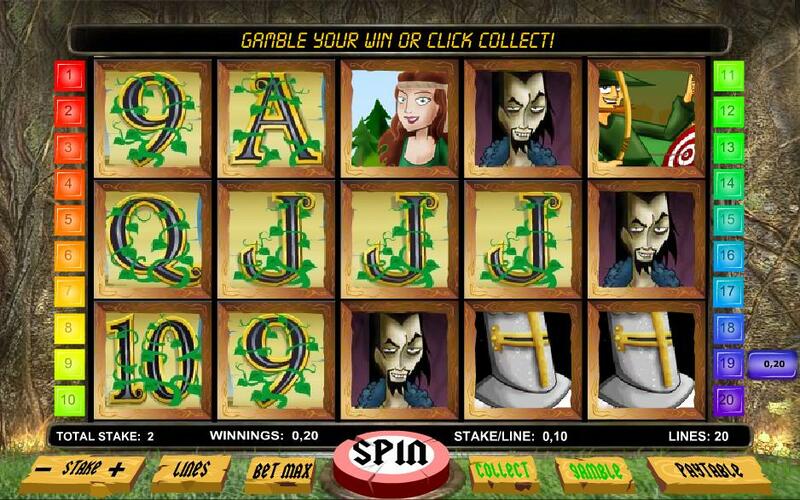 Play the Robin Hood slot at Mr Green casino. Appropriately for the game’s theme and title character, the player must collect 4 of the money bag symbols to be eligible for a 10 free spins feature. Upon entering the free spins feature, it is almost like Robin Hood has just, at that very moment, successfully assailed the rich to give to the poor and there always seems to be bags of money in the pot! And just like more of the rich will continue to pass through Nottingham Forest, Robin Hood will award you with more Free Spins as the game progresses. Watch your winnings pile up as you collect multiple winning combinations. There is more opportunity for wining combinations too because as the right reel disappears another reel appears on the left hand side therefore increasing your chances of achieving a different winning combination. Remember too that each and every successive win benefits from a progressive greater multiplier. It seems like there is a constant stream of cash to be made and Robin Hood has done all the hard work for you. Join Robin Hood and his band of Merry Men at Mr Green’s casino today and pick yourself up a bonus offer of free spins on Gonzos Quest slot machine whilst you’re there. Collect your welcome bonus of 100% up to £250 on your first deposit too. Now that is a steal! Play the Robin Hood slot at Mr Green casino.